Pines are a subgroup of the conifers, which includes all cone-bearing trees. The pines can be distinguished by their whorled clumps of needles that meet at a single point of attachment to the tree and their unique pine cones, which are the reproductive organs of the tree. As a general rule of thumb, pines tend to favor habitats with well-drained sandy soils. Pine habitats vary somewhat as you travel to different biological regions of the United States, but generally speaking pine trees can successfully compete with hardwoods when the soil conditions are mostly sandy and the land is well drained and not swampy. There are many different species of pine, so there is some variation across the United States in the habitat that a pine can occupy. 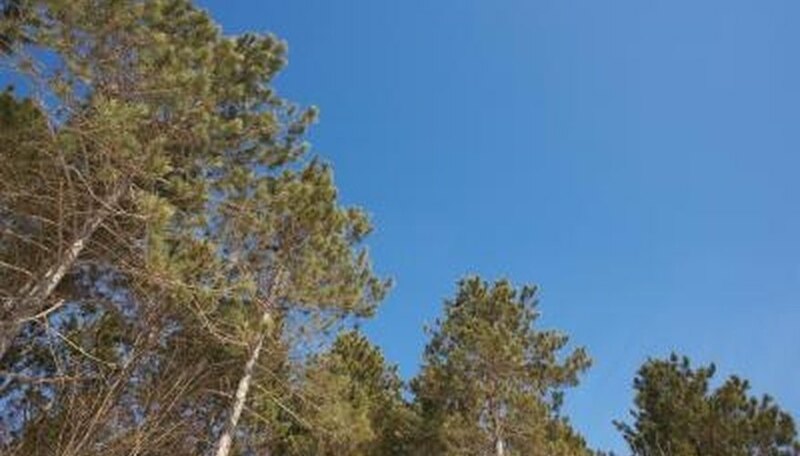 For instance, in the Southeastern United States, several species of pines such as the Sand Pine (also called the spruce pine) or Loblolly Pine may do well in richer soils. Also, in the western part of the country, several species of pines can be found as an important part of the high desert ecology. Pines do well in sandy soils and also in sandy loam soils. However, a heavy, clay soil or compacted loam soil is usually detrimental to the survival of the pine. The one notable exception seems to be the Loblolly Pine, which has a higher tolerance for moisture. This tall pine is native to the southeastern coastal regions and can be found growing in soils with a moderate to high moisture or clay content. Pines provide a rich habitat for wildlife, especially for birds and small mammals who are particularly fond of the seeds from the pine cones. Other creatures such as woodpeckers use the pine forest as both a nesting area and a place to search for food. Deer and wild turkeys will frequent a pine forest, if the understory is burned every few years and natural vegetation is allowed to follow the prescribed burning. Certain species of pines can be the first type of tree to take hold after a natural or man-made disturbance has come to a natural area. This change of habitat can be caused by fire, flood or a host of man's activities such as those found in farming and lumbering. Often it is the pines that come in first after the land has been changed, but often over time a hardwood forest will replace the pines or become mixed in with the pines. Fire is an ecological reality of the pine forest and in many cases a controlled burn or small natural fire helps many species of pines to become the dominant species. This is particularly true in the southern forests of the Longleaf and Loblolly pine forest. In Minnesota, the jack pine will not take to seed until combustion from a wild fire heats the cones to a significant temperature, which releases the seeds from the cones. Bauholz, Henri. "Habitats of Pine Trees." Sciencing, https://sciencing.com/habitats-pine-trees-5467793.html. 24 April 2017.